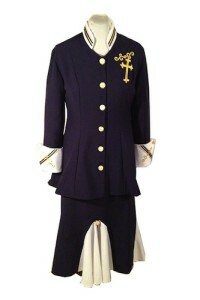 2 piece suit with a high collar, tailored cuffs and skirt. 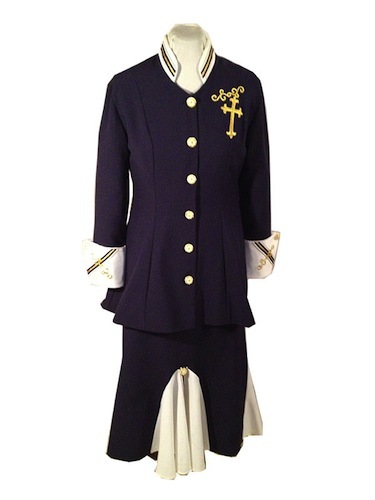 Back belt and kick pleat with flared skirt and inserts. Visa fabric. Available in navy/white and black/white.